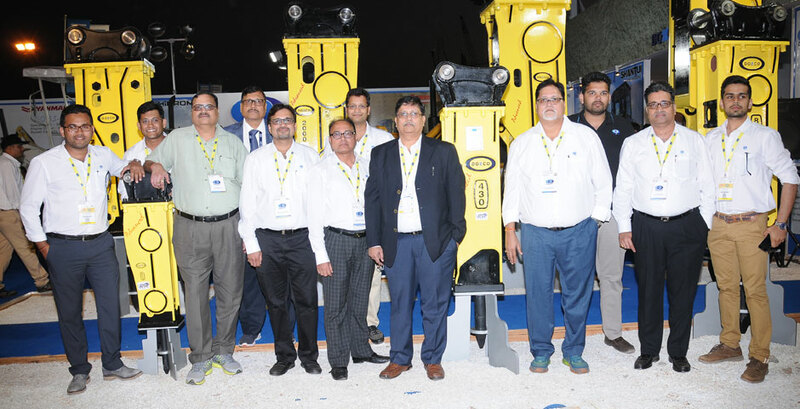 DOZCO - the venture started in 1983 at Dhanbad as a trading concern, dealing in general engineering items with a focus on Mining Machinery Spare Parts is into Manufacturing of Attachments and Parts for Mining & Construction Equipment and Distribution of Spares & Equipment. DOZCO is a 100% family owned Company, promoted by Bangurs', backed by a team of dedicated professionals. In the course of three decades, the Company grew significantly by covering Pan India with presence at 30 strategic locations with its Corporate office at Visakhapatnam, AP, India equipped with warehousing facility and state-of-the-art training centers at Dhanbad and Visakhapatnam. In the course of three decades, the Company grew significantly by covering Pan India with presence at 30 strategic locations with its corporate office at Visakhapatnam, AP, India equipped with warehousing facility and state-of-the-art training centers at Dhanbad and Visakhapatnam. Visualizing the high potential, the Company enlarged the scope in 2003 by engaging in Sales and Services of complete HEMM viz., Bull Dozer, Wheel Loader, Mini Excavator, Motor Grader etc. and unfolded a new chapter. With the thrust in Mining and Infrastructure sector in India, the company envisaged a good business opportunity and started taking up turnkey projects by forming DOZCO INFRATECH PVT. LTD., as the first extension of DOZCO Group. DOZCO established 2 state-of-the-art manufacturing plants at Visakhapatnam in 2013 with in-house Designing Centre and facilities for Machining, Heat Treatment, Fabrication, Online Assembly, Painting shop etc. Products from the plant include Rock Breaker, Chisel, Quick Coupler, Undercarriage components & other miscellaneous parts. To design, manufacture and distribute quality products for Construction and Mining activities and provide superior support to customers enabling optimization of their investment and economic growth and also of all other stakeholders. To become the most preferred source for Construction & Mining Equipment, its spares and attachments & create “DOZCO” as recognizable quality brand globally.